I discovered Ferron via the dark comedy One Mississipi on Amazon Prime. 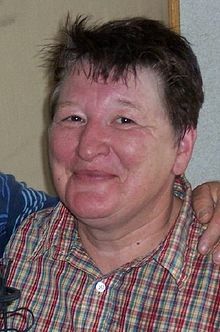 Tig Notaro, who among other indignities has recently undergone a double mastectomy for cancer, gets stood up by her new hot date at a Ferron concert. Emily Nussbaum in the New Yorker (click here) described the scene as “what may be the most lesbian plot ever on television”. I’m no judge of that, but Tig, alone in the crowd, as Ferron sings Aint Life a Brook was a bit of a moment. 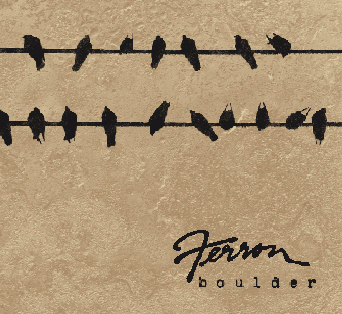 Never Your Own is from Ferron’s 2009 album Boulder. Could the album cover image be a reference to her fellow Canadian, Leonard Cohen? No. It’s from this song, about holding back those troublesome thoughts about the fate that’s coming down the line – to us all. and threatens to blow you away. Then who’s going to tell you that you finally come home.